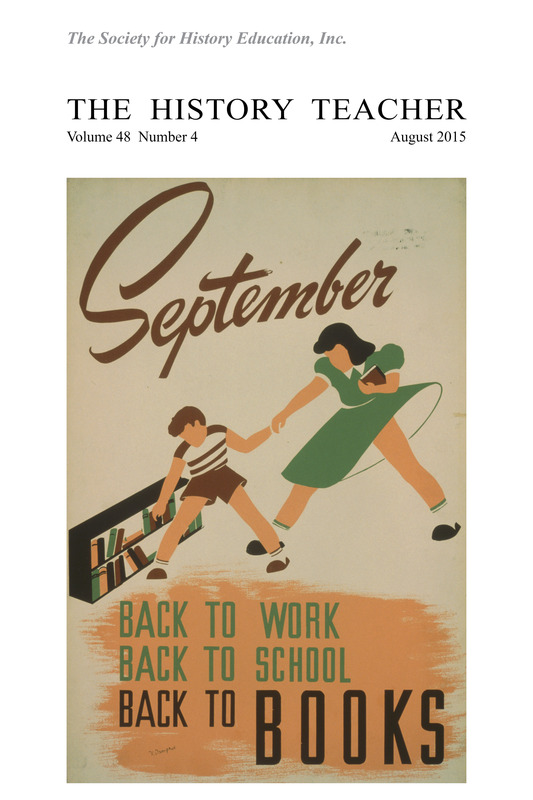 August 2015 Front Cover: September - Back to Work - Back to School - Back to BOOKS. Silkscreen by Illinois WPA Art Project, 1940. Library of Congress, Prints and Photographs Division, LC-USZC2-5218. 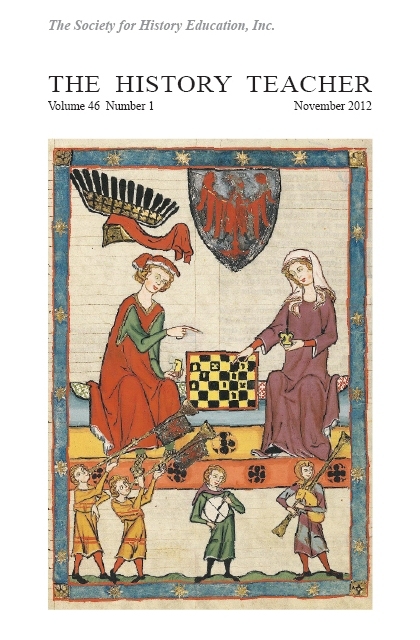 https://www.loc.gov/pictures/item/98509757/. Back Cover: Back to Work--Back to School, Back to Books. Silkscreen by Illinois WPA Art Project, ca. 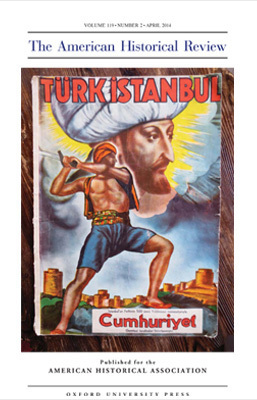 1936-1940. 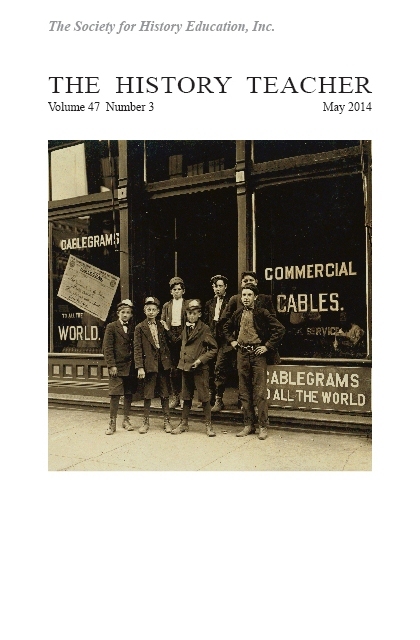 Library of Congress, Prints and Photographs Division, LC-USZC2-5199. https://www.loc.gov/pictures/item/98509570/. 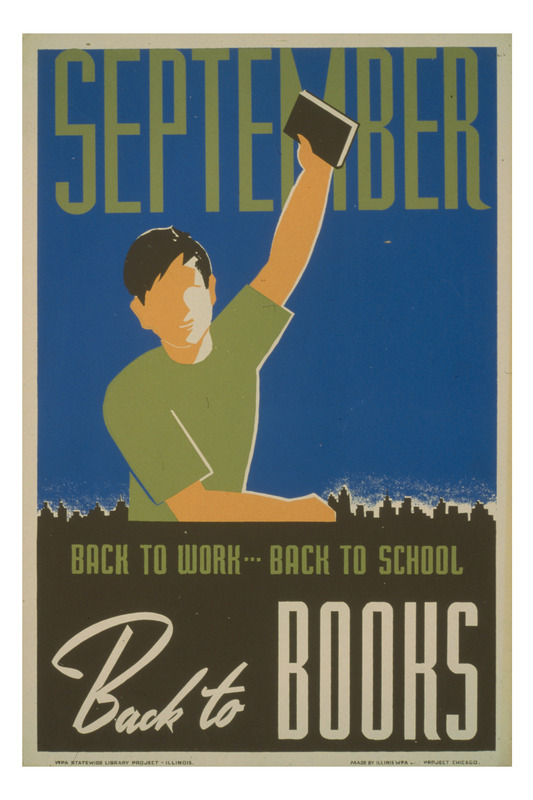 These posters, from the Library of Congress Work Projects Administration Poster Collection, help us celebrate the beginning of school season and highlight the importance of books in the learning process. 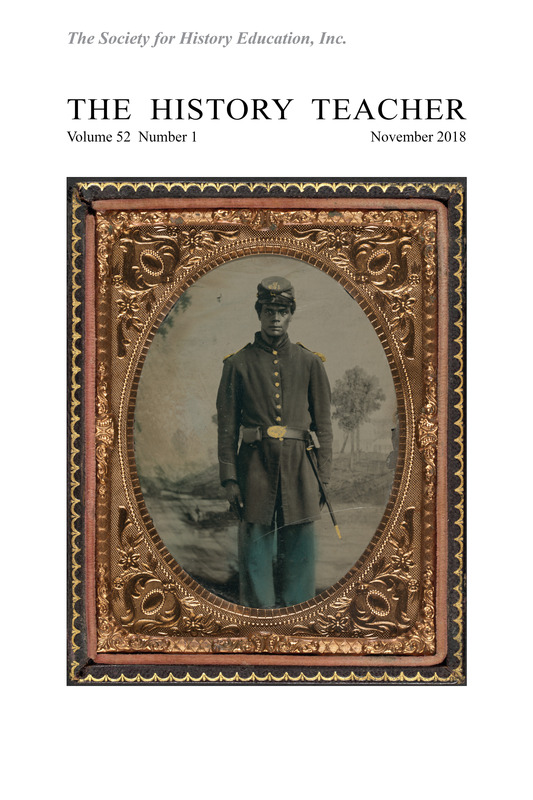 This issue of The History Teacher addresses the use of both textbooks and trade books for teaching history, with Brent Ruswick's "What Does it Mean to be an American? 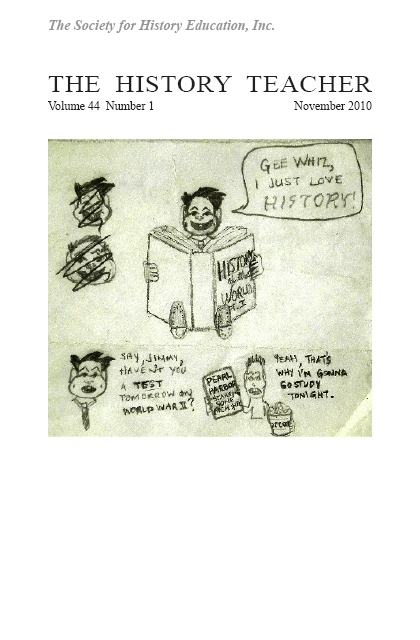 : Training History Students and Prospective Teachers to See the Assumptions in their Textbooks" and John H. Bickford's "Assessing and Addressing Historical Misrepresentations within Children's Literature about the Civil Rights Movement." by Mark G. Benton Jr.
John H. Bickford III is a former Mid-Prairie (IA) Middle School Social Studies Teacher and current Associate Professor of History and Social Studies Education in the Department of Early Childhood, Elementary, and Middle Level Education at Eastern Illinois University. His doctorate in Secondary Social Studies Education is from the University of Iowa. He has published almost two dozen articles and books on the texts and tasks that facilitate elementary- and middle-level students' historical thinking. Brad Fogo is the Director of Curriculum Development for the Stanford History Education Group and is currently leading the development of world history materials. He also works as a Clinical Research Associate for history education at the Center to Support Excellence in Teaching (CSET). A public school history teacher for nine years, he holds a Ph.D. in Curriculum and Teacher Education from Stanford. Rachel G. Ragland (Ed.D., Teachers College, Columbia University, 1989) is Associate Professor and Chair of Education at Lake Forest (IL) College. She teaches curriculum design, secondary instruction, social studies methods, fieldwork, and student teaching seminars, and supervises interns and student teachers. She served as Assistant Academic Director for a Teaching American History grant project and is currently an official scorer for History/Social Studies edTPA portfolios and is implementing edTPA into pre-service teacher preparation programs. Brent Ruswick earned his Ph.D. in the History of Science at the University of Wisconsin, and presently teaches history and social studies education courses and supervises student teachers at West Chester University of Pennsylvania. In addition to his first book, Almost Worthy: The Poor, Paupers, and the Science of Charity in America, 1877-1917, Ruswick has published several historical and pedagogical articles. He also has an active State of Nebraska teaching license for history and political science, grades 7-12. Mark Wild has taught for twelve years at California State University, Los Angeles, where he specializes in the urban and religious history of the modern United States. He was a founding member and former chair of what is now the Honors College Steering Committee, which developed the curriculum from which his case study is taken.